When makeup artist Jigs Mayuga and his partner George Defiesta were conceptualizing their dream home, they wanted something functional and beautiful with plenty of storage solutions. 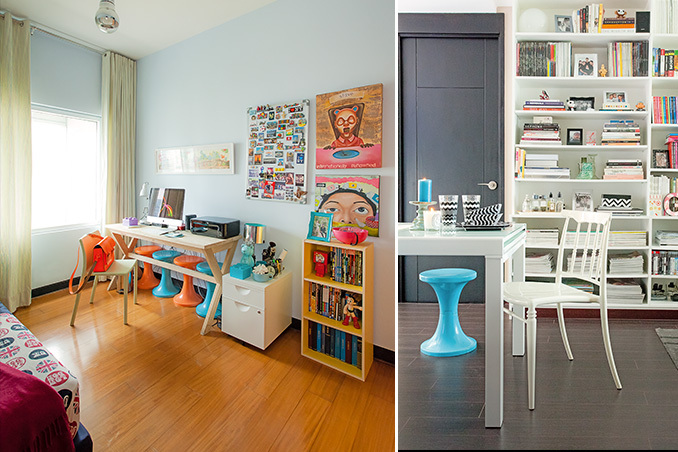 The challenge, however, was how to maximize their budget given that they needed to buy new furniture and select pieces from their former two-bedroom apartment, that had to be incorporated to the 80sqm space. It was through the help of their friends, Instagram followers (who gave them furniture suggestions and to whom they sold most of their furniture), and their contractor, that they were able to transform the space into something that they could call their own. What once was a man cave occupied by two brothers is now a sanctuary of all things Jigs and George. Read the original article ("Dream Come True") in the March 2014 issue of Real Living Magazine. Download your digital copy of Real Living on the Real Living App now! Log on to summitnewsstand.com.ph/real-living for more details.